Square D part numbers are provided to assist product selection. 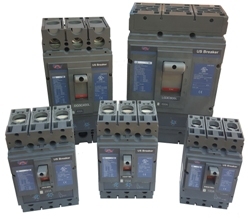 US Breaker represents its own UL Listed circuit breakers shown here and is not associated with Schneider Electric. Please verify handle throw, terminal cover & faceplate dimensions where critical. Feel free to call if we can help. 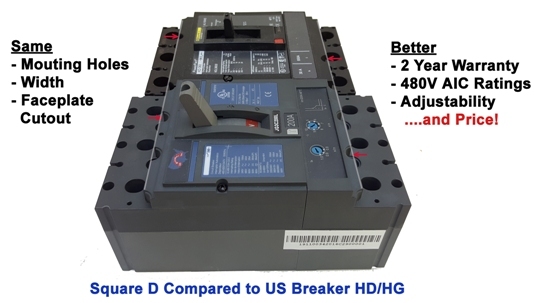 US Breaker Accessories are not interchangable with Square D accessories. Please let us know if we can help cross reference any accessories.